A few stimulant drugs account for a major portion of drug abuse. Abuse of stimulant drugs has become a major problem in America. Some of these stimulant drugs have some limited medical uses. Recreational drug use seems to run in cycles. A new drug or a new form of a drug becomes popular for a while only to be replaced by the next “in” drug. Here is a brief description of the primary types of stimulant drugs being abused today. Cocaine comes from the coca plant which was originally found growing wild in the Andes Mountains of South America. Coca leaves were used there, probably for thousands of years, by the native population who would chew the leaves or mix them with roasted sea shells and hold the mixture next to their gum similar to the way chewing tobacco is used. Chewing a few leaves produces a mild stimulant effect which allowed the natives to work more effectively at high altitudes. In the late 1800s European chemists isolated the active ingredient, cocaine. Cocaine was promoted by Doctors, particularly Freud, for treatment for a variety of illnesses. The first great cocaine epidemic occurred in the 1880s. Cocaine can be used in a variety of ways; powdered cocaine can be snorted, and crack cocaine can be smoked. The 1980s saw a second cocaine epidemic with the introduction much cheaper crack cocaine. Cocaine was used for a while to treat depression but this is no longer an acceptable use because when a stimulant drug wears off the depression is worse than before. The only currently accepted medical uses for cocaine are eye and nose surgeries. Amphetamines became popular during World War II when both sides used them. Initially, they were thought of as wonder drugs and were used for the treatment of respiratory problems, obesity, and to increase attention and prevent sleep. Amphetamines were widely prescribed for both weight loss and to increase productivity. In the 1960’s the dangerous properties of amphetamines were recognized. Today use of the older amphetamines is largely restricted to the treatment of ADHD. There had been some use of injectable methamphetamine in the 1970s. In the 1990s methamphetamine began to replace other stimulant drugs, first in Hawaii and later, on the West Coast of the United States, ultimately spreading throughout America. Methamphetamine manufactured synthetically in large quantities became considerably cheaper and lasts longer than other stimulant drugs. Methamphetamine is used as an injectable drug and is available in a smokable crystal form. From a mental health standpoint, methamphetamine is diagnosed as an amphetamine use disorder. Substance abuse treatment often provides separate categories for amphetamine and methamphetamine disorders. While amphetamines are usually prescription grade medical pharmaceuticals which are diverted for illegal use, methamphetamine is produced by illegal labs in huge quantities for recreational use and abuse. See drug diagnoses. The sight of the meth addict, sucked up from loss of weight, often covered with scabs, frequently paranoid and hallucinating, has become a common sight in hospital emergency rooms and on the streets of America’s cities. Khat is a stimulant plant which grows wild in East Africa, where it was chewed by natives the same way coca leaves were chewed in South America. The leaves are most stimulating when chewed fresh. Khat contains two stimulant chemicals, Cathine, and cathinone. Both of these chemicals and many other related compounds are now produced synthetically. Bath salts have nothing to do with bathing. These synthetic stimulant drugs, largely related to cathinone, are imported into the United States labeled “not for human consumption.” These are often mixed and sold under various labels such as “bath salts, herbal incense, water pipe cleaner,” and many other names. This family of chemicals can produce strong stimulant effects as well as hallucinations. Because these are mixtures of chemicals and are sold labeled “not for human consumption” they have been very difficult to regulate. As quickly as federal regulators ban one chemical, the manufacturers and marketers of bath salts change their formulations. There are frequent reports of permanent neurological damage because of using these drugs. Caffeine is one of the milder stimulant drugs and is the most widely used drug on planet earth. It is estimated that 90% of the world’s population consumes caffeine or a related compound on a regular basis. Occasionally someone receives a caffeine overdose and presents in an emergency room. Caffeine overdoses usually result from consuming energy drinks which are high in caffeine combined with alcohol or by consuming large quantities of caffeine pills to stay awake longer than the human body should. This entry was posted in Drugs and Addiction and tagged amphetamine, Bath salts, books about adjustment disorders and stress, books about recovery and PTSD, caffeine, cocaine, Khat, Licensed Therapist & Licensed Counselor, Methamphetamine, stimulant drugs by David Joel Miller. Bookmark the permalink. Enjoyed this concise explanation of stimulant drugs. Meth is now a large problem in Virginia, catching up to Heroin and Cocaine. I work with all 3 addictions in my job. Heroin appears to cause more overdoses, but meth destroys brains. 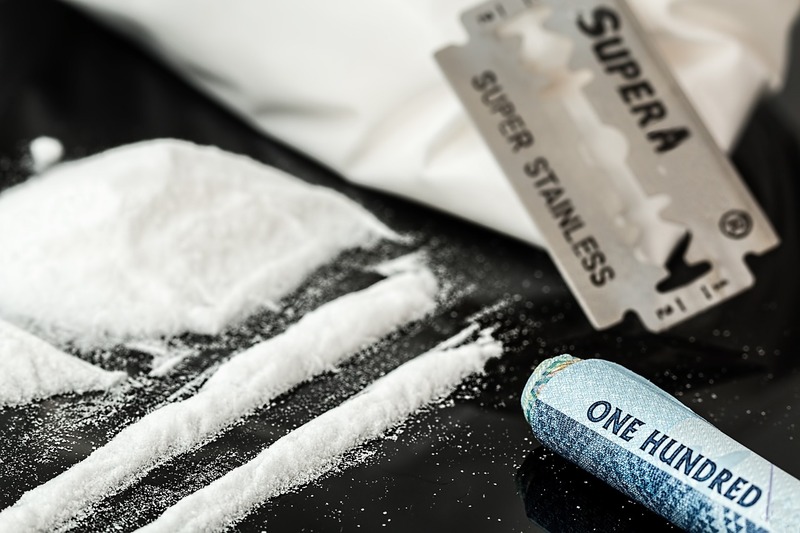 Cocaine used to be the number one problem – not anymore.